Lawn mowing could become an archaic activity. Congratulations everyone, we have made it to the future. 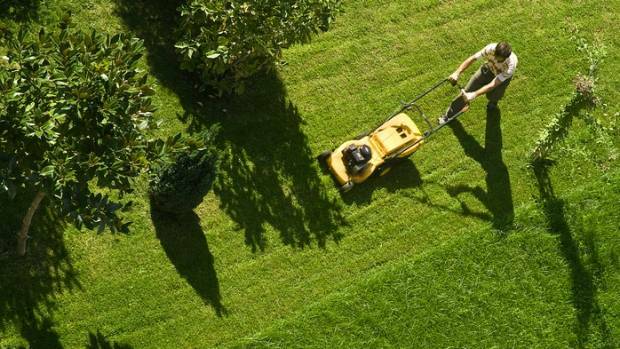 Mowing the lawns is the latest activity to become robot-capable. This tedious outdoor duty could now be a thing of the past if you’re willing to cough up the cash. That is, about as much as a European holiday for one. Let’s take a look at a few of the robot-lawn mower options on the market. This “intelligent robot lawnmower” makes its way around by following “the layout and contours of your garden”. Rather than empty it at the end as you might a vacuum cleaner, the Miimo mulches as it goes, leaving the clippings on your lawn. It’s apparently good for lawn fertilisation but you may have mixed feelings about the look that mulching creates. The device ranges in price from $3728 for the basic Miimo 310 model that can mow up to 1500 square metres, to $4660 for the Miimo 3000 which mows up to 4000sqm and can be controlled by a smartphone. For the relatively small difference in price, it seems one might as well future-proof this futuristic home addition and go for the app-controlled model. If you have a sloping or uneven lawn, or a tree that drops “temporary obstacles” such as pinecones, a Husqvarna Automower might be for you. The model is apparently “so quiet that it can work in the night without disturbing anyone.” We’ll be the judge of that, thank you. Though overnight mowing could be mighty helpful, provided you keep your pets inside. (Sorry hedgehogs). Interestingly, what stops the Husqvarna mowing away into the wild blue yonder is an electronic fence created by a boundary wire, which has to be installed by a technician. When batteries run low, the mower returns itself to the charging station to get some more juice. The simplest edition, the 105, costs just $2499, while the GPS assisted 450X model will set you back $5499. Apart from a cute name, this lawn mowing robot comes at the most affordable price, $873.95. Similar to the Husqvarna, it functions with a perimeter wire to keep it at your place instead of moonlighting next door. The robot boasts a 28-volt lithium ion battery, rain detection sensors that make Landroid go home, and can mow at angles of up to 20 degrees. Altogether, not bad. But though catching a break from mowing the lawns could be wonderful, there are certain outdoor chores that will remain with us. (Until they invent a robot for those, or the robots take over the world). Collecting pet droppings is one of those tasks, or woe betide the results when in conjunction with a robo-mow. Don’t say you were never warned.